Travis County prosecutors say the money they get each year from Texas Mutual to prosecute workers’ compensation fraud helps consumers. But in internal emails, they readily admit they’re generating cash and publicity for the insurer. Travis County prosecutors say the money they get each year from a large insurance company to prosecute workers’ compensation fraud helps both consumers and businesses by holding down premiums and maintaining a stable market for employers. But behind the scenes, top officials in the district attorney’s office are highlighting other benefits: They say they’re generating a lot of money and good PR for Texas Mutual Insurance Company. Emails obtained by The Texas Tribune and the Austin American-Statesman show officials from the DA’s office have even used those claims to ask Texas Mutual for more money to prosecute the company’s fraud cases. Texas Mutual, the largest provider of workers’ compensation insurance in Texas, has authorized payments of some $4.7 million to the Travis County district attorney’s office since 2000 to prosecute fraud cases for the company. The agreement has come under scrutiny at the Travis County courthouse and the state Capitol following a joint Tribune/Statesman investigation last month that raised questions about the deal. Critics say the public-private partnership constitutes a basic conflict of interest, and officials have since temporarily suspended the agreement. 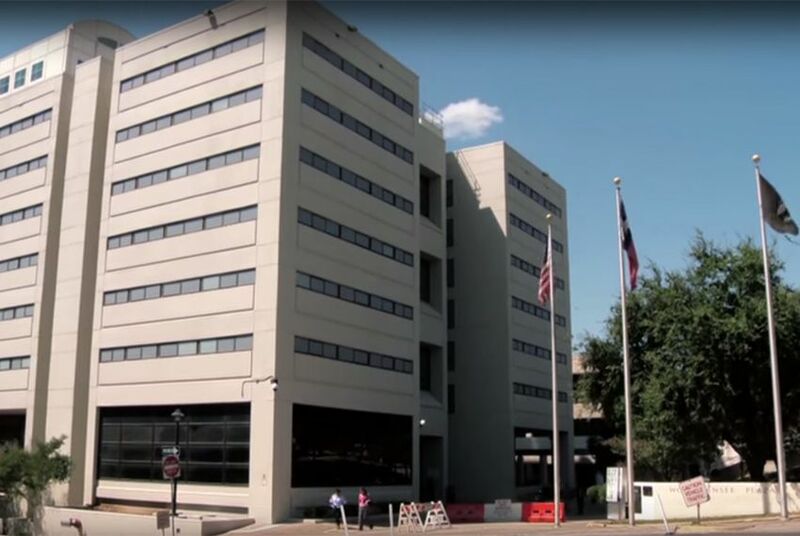 In turn, the analyst, Michele Pearson, told the lead prosecutor of the unit, Donna Crosby, to underscore the financial windfall when discussing the proposed budget increase with Tim Riley, vice president of special investigations at Texas Mutual. “Per Rose’s note, I want to gently remind Tim of the great work you and your unit has done in the way of collections,” Pearson wrote on July 21, 2014. “Plus the great publicity,” Crosby replied. Critics of the DA’s deal with Texas Mutual said the emails exchanged during the contract negotiations fueled their initial concern — that public prosecutors might be pursuing private cases for the wrong reasons. Mark Cevallos, a San Antonio attorney who represented an oilfield worker prosecuted by the privately funded unit, said the emails didn’t surprise him given what his client went through. “This confirms to me that the Travis County district attorney’s office was nothing more than the criminal trial division of Texas Mutual Insurance Company,” said Cevallos, whose client’s case was later dismissed. Travis County First Assistant District Attorney John Neal denied that prosecutors work as debt collectors for the company. Neal pointed out that it isn’t unusual for prosecutors to seek restitution in an array of criminal cases, including thefts, white collar crimes and cases in which victims incurred property damage. He said victims often want restitution as a way of making them feel made whole. "We seek restitution in a lot of different cases," he said. "That would be part of our agreement or plea bargain." Texas Mutual declined to comment. In previous interviews, the company has argued that the Texas Legislature years ago gave the company authority to enter into such funding agreements with local prosecutors — and that there’s nothing untoward about it. The Tribune and the Statesman originally asked for the emails about the contract negotiations in June. The DA’s office refused to release them at the time, saying the records were exempt from government transparency laws. Attorney General Ken Paxton, however, ruled that the county missed key deadlines in requesting an opinion from him. His office then ordered District Attorney Rosemary Lehmberg to hand over the records. Lehmberg disagreed that her office had missed the deadline and asked a Travis County court to overturn Paxton’s order earlier this month. In a court filing, Lehmberg said Texas Mutual and her government office have a common interest in keeping the records secret and that some of the documents were protected under exemptions that allow prosecutors to shield scrutiny of their legal strategy. Lehmberg partially reversed course a week ago, when she decided to voluntarily release hundreds of emails — those dealing with contract negotiations — to the Tribune and the Statesman. The county is still fighting to block release of records detailing decisions not to prosecute certain cases. The emails Lehmberg voluntarily released show the privately funded unit has almost tripled in cost in the last 15 years. In 2000, the two-person unit cost $150,000; by 2015, it had a $430,000 budget and four full-time employees. Texas Mutual has paid for salary increases, performance pay, retirement benefits and a host of expenditures related to prosecuting its cases — everything from office supplies and furniture to witness costs. Over the years the company has often pressed the county to justify various costs. In 2005, Riley asked why Texas Mutual was being billed $275 for a training session for Crosby. The company ultimately paid the bill but asked to pre-approve such expenses in the future, the records show. More recently, the company asked why a part-time office specialist was being converted to a full-time position. The state created Texas Mutual in 1991 amid crisis — an effort to ensure the availability of workers' compensation in Texas. In the early days, it was subject to rigorous government oversight. But in 2001, the Legislature converted it into a mutual insurance company owned by its policyholders, and in ensuing years lawmakers lifted control and oversight. The company still acts as the insurer of last resort, providing workers’ compensation policies for employers who can’t get it elsewhere, though that portion of Texas Mutual’s business represents only about two-tenths of one percent of its policies. The arrangement under which Travis County prosecutors investigate Texas Mutual fraud cases has been in place since at least 2000. As part of the deal, a team of 21 investigators employed by Texas Mutual reviews cases and refers them to the district attorney's office for possible prosecution. After the Tribune/Statesman investigation, several county and state leaders rejected the practice and called for change. Travis County Judge Sarah Eckhardt, a Democrat, called the arrangement "highly suspect." State Sen. Kirk Watson, D-Austin, questioned why a private company was paying for public prosecutions. Lehmberg has said that in addition to temporarily suspending the arrangement, she is working with a group of public officials on other options to pay for such investigations. Disclosure: Texas Mutual Insurance and the Texas Trial Lawyers Association are corporate sponsors of The Texas Tribune. A complete list of Tribune donors and sponsors can be viewed here.